In the November issue of Scientific American, psychologist Simon Baron-Cohen of the University of Cambridge explores the possibility that some of the genes that contribute to autism are inherited along with genes behind certain cognitive talents common to scientists, engineers, mathematicians and other technical-minded people. Some evidence suggests that regions around the world where a lot of engineers and scientists live and marry—such as Silicon Valley in California and Eindhoven in the Netherlands—have higher than usual rates of autism. When two technical-minded people have children, they may be more likely to have a child with autism because of the underlying genetics. To help gather data to test these ideas, Baron-Cohen and his colleagues have created a Web site where parents can report what they studied in college, their occupations and whether or not their children have autism. Hi everyone, I'm Mollie Bloudoff-Indelicato with Scientific American. I'll be joining in the chat as well. Feel free to start posting questions now. We'll get started in a few minutes. Aaron, Darci -- Great to have you to chatting with us today. Looking forward to your questions. Hi, this is Simon Baron-Cohen. Looking forward to chatting. Welcome to the Scientific American chat. 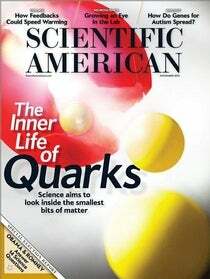 I'm Ferris Jabr, an associate editor for Scientific American, and I'll be hosting this chat. Does anyone have any general questions for Professor Baron-Cohen about the genetics of autism? My question was two-fold in relation to Autism and how it physiologically affects us during winter. Which would allow me to understand more of myself because I have not been diagnosed with Autism but my doctor referred to Asbergers. What are the common 'risk factors' that you've come across? How many parents have participated so far? It is true that we explored running this study at MIT. Regarding the hypothesis, does it stem from a hypthesis that scientists are borderline autistic as well? do you consider autism a kind of evolution of the brain? Are you also going to look at parents? If they have also autistic traits? Can you explain that a little bit more? 'higher rates of talents in systemizing'? It is generally known among engineers that many in the field tend toward autism anyway, regardless of intellect. Is it just a paternal link (fathers and grandfathers)? yes, i'm curious about the paternal link as well. do you have a close date on data collection? when will the results be published? My son is autistic, and my degree is in English. However, I have a great interest in science. Will your study take interests into account? In engineering you often do not need well developed social skills either. Could personality play a role as well? awesome. i'll be watching for it. Did the parents (or grandparents) exhibit any signs of borderline autism? is it just males with autism that favour systemizing (cars, trains etc)? how do females with autism tend to 'systemize'? Is it possible that systemizing in girls and women is less obvious and more difficult to detect? Glad you are doing this research though - I've been curious about this for some time now. My family would fit your criteria for sure! I think girls systemize less obviously. That is why so many girls may live with undiagnosed Asperger's syndrome for instance. perhaps less obvious to those 'looking' for male-pattern traits? in what way might girls systemize less obviously? You will definitely find a positive correlation. Autistic people are drawn to science fields requiring little public speaking. Fantastic chat everyone. We have about five minutes left. Any last questions for Dr. Baron-Cohen? Tamitha, I think that is an interesting nuance. Perhaps some scientists on..
do you think autism is related to not filtering stimulus but rather taking it all in and storing it for later sorting and analysis? Are the statistics lower for girls in science and engineering fields due to less women in science? what are your views on the dsm-5 changes? if so, this would be an excellent skill for scientists! sytemizing through language rather than science or math is definitely going to be less noticeable. personally, i think it's great. Simon do you have thoughts about the new DSM-5 definition of autism spectrum disorder? i have seen first hand what is considered 'classical' autism vs. aspergers, and to me it is a whole other ballgame. i think that people will still be diagnosed, but more correctly. i'm curious to see what the prevalence will be with the new definitions. exactly :) it's just a label. Food for thought in Psychology! Thank you to Dr. Baron-Cohen for joining us on Scientific American's live chat. And thanks to Ferris Jabr who set this up. fantastic insight! finally we are getting glimmers of an answer to autism. continue this line of research at all costs!